"Chai" , representing life and success in Jewish tradition, is printed in unique "reggae" colors on the front of this t-shirt. 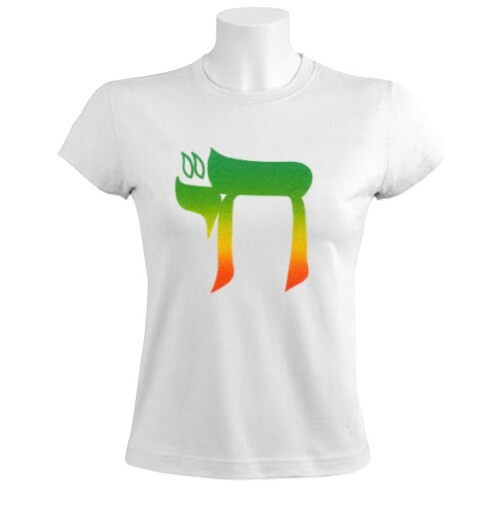 A great t-shirt from the holy land, which takes the classic Jewish ideas to colorful places. Our t-shirts are made of 100% cotton and are long lasting with bright colors. Our products are all designed and printed in Israel.